WE WILL FIND YOU THE BEST COVERAGE AT A PREMIUM YOU CAN AFFORD. 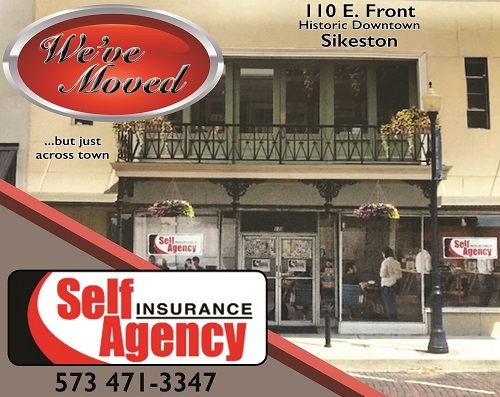 Come see us at our new office located in Historic Downtown Sikeston - 110 E Front St.
We are a Trusted Choice® agency! We are an independent agency with the customer in mind. We have relationships with dozens of insurance companies, allowing you to get the right price with the right service. Whether you have the ideal history, preferred companies desire, or a not so perfect history, we find the right coverage, with the best company, at the best price for you. Make the latest changes to your policy directly from our website twenty-four hours a day, seven days a week. As an independent insurance agent we can offer the right coverages with the personal touch you would expect from your neighborhood insurance agent.